Do you think your pet might be struggling with osteoarthritis? 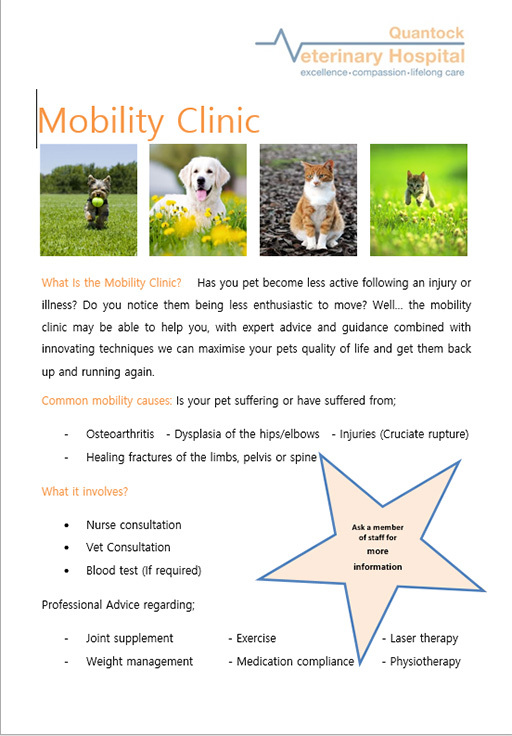 Our free mobility clinics are there to help pet owners manage osteoarthritis and the pain it causes pets. It is a highly prevalent condition affecting cats and dogs of all ages. 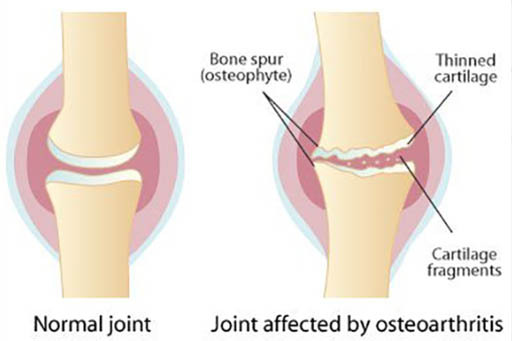 The disease is progressive with a permanent deterioration of the cartilage around the joint leading to pain and discomfort. With a staggering 45% of dogs aged 8 years or over and 90% cats over the age of 12 being affected, osteoarthritis is a condition that should not be over looked. We’re running FREE pain and mobility clinics until the end of December – these offer expert advice and guidance on new and improved ways of managing your pets condition and pain to help provide them with a better quality of life. Please don’t hesitate to contact us if you’d like more information on attending our free pain and mobility clinics – they’re also ideal for other pets that have become less active through injury, illness or weight gain. If you’re concerned that your pet’s weight is affecting their mobility also keep an eye out for news of our new Weigh-In Club which will help give expert guidance and support to get your pet losing weight and back to a healthier, happier lifestyle.